As an authorized retailer of the Apache sprayer, Southern Application Management, services and sells factory-installed Trimble precision equipment. For the highest-accuracy steering in any field type, use the Trimble Autopilot automated steering system. Autopilot is a hands-free steering system that automatically steers your vehicle on line with maximum precision-ideal for the most demanding row crop farming applications. 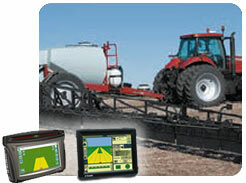 Integrating boom control, auto-steering and variable rate application, a field computer combines all things precisionspraying into a user-friendly interface. 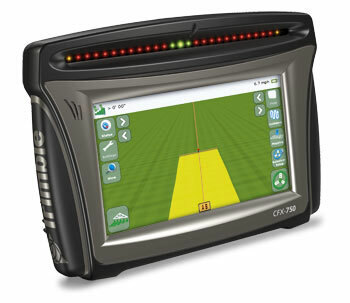 The Trimble CFX-750 display is an affordable, multi-function guidance display offering key precision agriculture functionality. Compatible with a variety of accuracy levels and satellite constellations, it is ideal for broadacre and row crop farming applications with almost any crop type, field shape, or soil type. The Trimble FmX integrated display is an advanced, full-featured guidance display for all your precision farming applications. 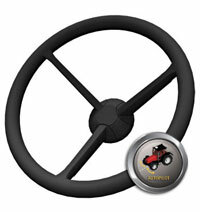 It is ideal for farmers who require high accuracy levels and functionality. Rate and Section Control with Field-IQ Variable Rate Control - Vary rates manually or using prescriptions to save money and increase yields while keeping records of what was applied - Integrated control with servo and PWM valves - Flexibility to work with many different plumbing designs and hardware configurations - Simple setup makes it easy to calibrate and have accurate application controllers.